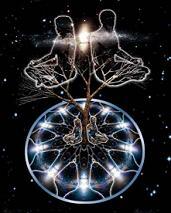 The journey through the physical earth experience brings much heart-felt experience and wisdom to the soul. There are moments of joy and creative self expression, and there are growing pains and life lessons. Life is but a stage and we are merely the actors. You share this 3D earth experience with many other souls who are the actors in the movie that is your life. Soulmates in particular are all here to help assist in teaching us life lessons and to help us progress spiritually. Each one of us in part of a soul group. The members of a soul group are considered your soulmates. As the consciousness of humanity continues to expand we will begin to meet people at the most opportune times in our life. We will not meet them through coincidence but rather through the experience of synchronicity. These people may be part of your soul group. The more significant relationships may be the individual soulmates that you have direct karma with. Soulmates will also help you with your life lessons in some way. There are soulmates working on personal karmic issues with one another, and also entire soul group that are working on karmic issues as a whole. Generations of soul groups often incarnate together, over and over again as well. Both you and your entire soul group slip in and out of key roles from lifetime to lifetime in order to help all of the souls with the group to learn valuable lessons. At the beginning of the physical incarnation each soul within a particular soul group may create sacred contacts and soul level agreements with the other souls within the group. These may include scenarios that the souls will play out in order to learn the various lessons. All life lessons typically involve one, several or even all of the other souls within the group.